Mitre has selected SAS as one of four finalists for a challenge that seeks a method for verifying government assistance eligibility to mitigate instances of fraud or error. 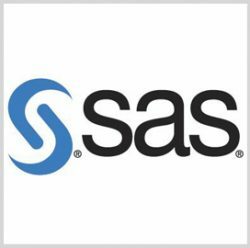 SAS was chosen out of 29 participants under the Mitre Challenge on Strengthening Eligibility Verification for Federal Benefits Programs for developing an open and interoperable analytics platform that deploys artificial intelligence and machine learning, SAS said Thursday. The “recipient-centric” platform enables access to outside sources in order to contextualize data and help agencies assess applicants’ needs based on automated alerts that provide information on the recipient’s life changes. SAS noted that the implementation of emerging technologies can aid federal agencies in identifying and verifying applicants that require timely assistance such as transportation support or rent vouchers. Gordon Milbourn, payment integrity portfolio leader at Mitre, said this year’s challenge seeks cost-effective ways of improving benefit eligibility verification to help federal agencies save money. Mitre evaluated participants’ proposed technologies through hypothetical scenarios involving a fictional government program that caters to working families seeking short-term benefits.